It’s not often the hurlers gain the limelight on a weekend of Mayo GAA activity, so let’s just enjoy the moment and take whatever positives are going. This NHL Division 2B final was a war of attrition as Mayo and Down went to battle in arctic conditions in Breffni Park. There was nowhere to hide from the elements for anyone in the stadium as a hardy bunch of Mayo supporters cheered the Mayo lads to victory. Mayo played against the strong wind in the opening half, knowing that a decent performance would set them up nicely for the second half. Halfway through the opening period, the score stood at 0-5 to 0-1 in a favour of Down and one could sense that Down – if let – could have pulled away and got their tails up. However, it was Mayo who got the rub of the green at this juncture as Brian Morley got on the end of a mistake from the Down ‘keeper to poke home a goal to give Mayo a boost. Mayo finished the half strongly from here, with Kenny Feeney (mostly frees) and a Keith Higgins point from play putting Mayo in a good position at half time, just trailing by a solitary point at 1-5 to 0-9. But, in truth, the real heroes of this opening half were Mayo’s defence. Down’s inside forward line had a menace about them, and looked like they could punish if given the opportunity. The defensive unit on the day from Mayo never afforded the space needed by these cute Down attackers, meaning they never got a sniff of goal throughout the whole 70 minutes of hurling. Brian Hunt and Conor Daly had a mountain of ball raining in on top of them in the full-back line, but always seemed to come out on the good side of dangerous looking Down attacks. Although having a shaky start, the all-Tooreen half-back line of Cathal Freeman, David Kenny and Michael Morley hurled a world of ball all day, with Conor Henry dropping back from midfield regularly to clog up the channels for Down. One could sense the frustration from the Down players throughout, as the intensity from the Mayo rearguard stifled many of the Mournesiders’ opportunities. It only took Mayo about ten minutes after the restart to put their noses in front. Again, pointed frees from Kenny Feeney – along with other white flags from Keith again and captain Cathal Freeman – gave Mayo a cushion heading down the back straight. Although never capable of pulling clear in the closing fifteen minutes of the game, one could feel that Mayo were never going to lose the game. Once again, throughout the second half Down never got a sniff of the Mayo goalmouth and even when Down were awarded a close-in 20 metre free late on, they elected to tap over instead of going for the major. It was an assured Mayo team that finished out the game in style. It was fitting that Kenny Feeney got Mayo’s last point of the game after turning in a Man of the Match performance. Kenny Feeney is a confidence player – and when he is going good he can win a match for you. After hitting four good frees into the breeze in the opening half, his gander was up. Two points from play followed in the second half, along with six more dead balls to bring his lot to twelve for the day. But it was Kenny’s work-rate today which stood out. On one occasion in the second half, he sprinted hard to block the Down centre-backs clearance. On making the block-down, his hurl flew out of his grasp while the sliotar landed between his feet. In a flash, Feeney rose the ball with his feet before releasing to the supporting Keith Higgins who converted from close to the side-line. This score lifted all Mayo crowd and crushed whatever life was left in the Down comeback. For those readers who never saw Keith Higgins hurl before, he is a player who can play in any position at ease. This year he is being employed in the full-forward line for the hurlers, playing a similar role as what Andy plays for the footballers. He wins more than his fair share of ball which goes into him, but usually has a sweeper to contend with in front, as was the case against Down. Shane Boland plays off him in the full-forward line with Sean Regan and Brian Morley advancing to support from the half forward line. Occasionally when he gets restless, Keith swaps positions with Kenny Feeney and forages back to help the midfield, but usually goes back in again to his usual berth once parity is restored around the middle third. He brings a real sense of energy to the attack and keeps the opposition rear-guard guessing and worrying about his every move. When Kilkenny referee Gavin Quilter finally put an end to the game, the Mayo players and management just congratulated each other but there were no major celebrations. 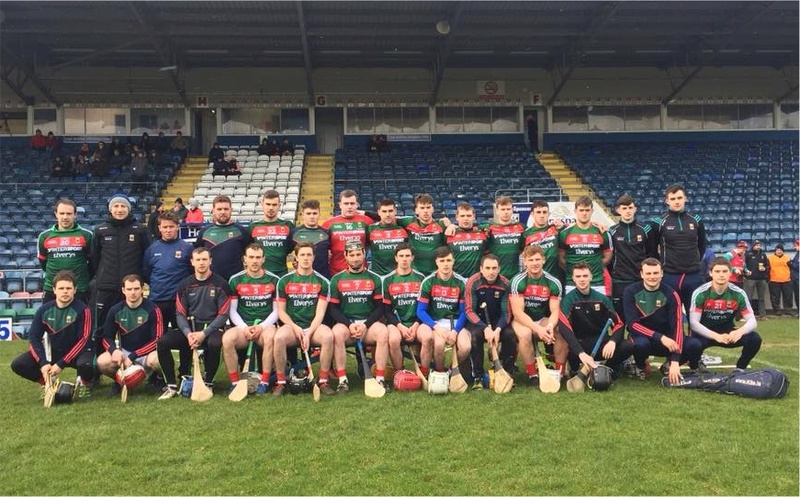 It was like as if these Mayo hurlers expected to win – and that they did. Manager Derek Walsh – after the game – spoke of the team not playing to their best on the day, which shows the levels of expectation from management and players within the camp. Captain Cathal Freeman accepted the cup along with Keith Higgins, a fine gesture from the Tooreen man to highlight the role played by Higgins in bringing this side to the next level. So where does it go from here? Well, for next season Mayo will now ply their trade in Division2A of the NHL, which is frightening considering the resources and numbers available to the opposing teams in that Division. Teams like Westmeath, Kerry, Meath, Carlow, London and Antrim will be on the radar next year, many of whom will play championship this year in the newly-formed Joe McDonagh Cup. Antrim have 36 adult hurling clubs within their county. We have four. It’s a challenge that will hold this team and management together, as they face long journeys carrying the underdog’s tag with them wherever they go. And for the rest of 2018? The Christy Ring Cup starts in May with Mayo grouped with Kildare, Wicklow and Roscommon. A top two finish in that group stage will set up a semi-final place and, if the level of consistency stays with the side, they wont be far off the shake-up in it this year. So, for those of you feeling respondent after the events in MacHale Park yesterday, there is plenty of room available on the hurling band-wagon. There’s no need for a season ticket, no queues, no madness and no unnecessary expectations. The one thing that’s needed is a love for the Green and Red and a passion for the small ball game. Unfortunately, we don’t have many who fall into that category to help fill a stand, but thankfully we have fifteen players on the field and more on the sideline who have those qualities in abundance. 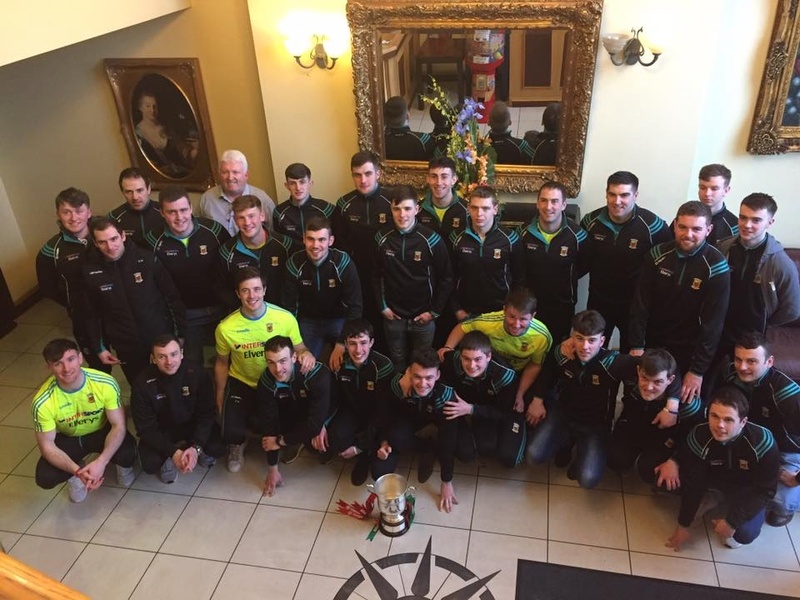 Congrats to our hurling brigade and best of luck to them in the upcoming Christy Ring campaign. Great article- thanks for sharing. Great for all the hurlers. Well done Mr Higgins. Excellent article Adrian well done great to see the hurlers get some recognition and silverware. Best wishes to them in the Christy Ring cup. Great to see the hurlers progress this year. Thanks Adrian for that. Fantastic achievement and proud of the way ye have brought hurling to a great level in Mayo.Played with passion and determination yesterday. Enjoy the celebrations. Enjoyed that article. Thank you Adrian.